After a 42-year drought for the crown, the Philippines makes pageant history once again. 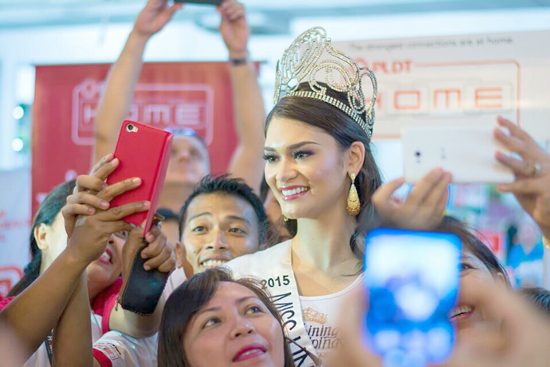 Miss Philippines and PLDT HOME DSL ambassador Pia Alonzo Wurtzbach was recently crowned Miss Universe 2015 after a dramatic coronation night held at Planet Hollywood in Las Vegas. Wurtzbach bested 80 women from various parts of the globe to claim the country’s third Miss Universe title. She follows in the footsteps of Gloria Diaz who won in 1969 and Margie Moran who brought home the crown in 1973.